200,000 housing units in Bay Area pipeline. Is it enough to move the needle? 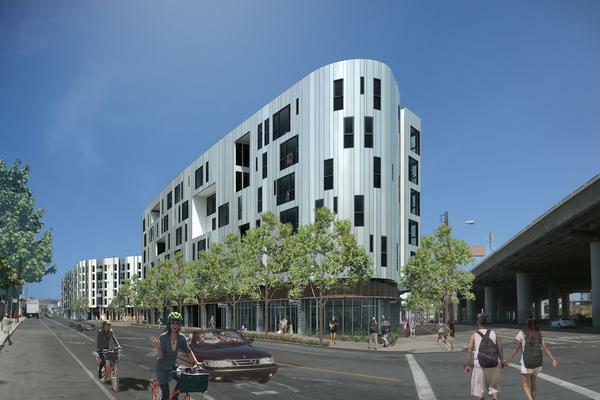 There are 200,000 housing units in the planning pipeline or under construction throughout the Bay Area and approximately 43 percent of those are rental units. The housing pipeline number, which was reported by a Bay Area real estate consultancy, includes market-rate and affordable projects in San Francisco, the East Bay, Peninsula and Silicon Valley down through San Jose. CLICK HERE for the full San Francisco Business Times article. This entry was posted in Bay Area Homes for Sale, Jeni Pfeiffer and tagged Bay Area Rental Housing, Homes for Sale Bay Area, Homes for sale Silicon Valley, Jeni Pfeiffer, New apartments Bay Area, New homes Bay Area, New homes San Francisco, Peninsula Housing Market, San Francisco homes in the pipeline, Silicon Valley Housing Market on November 27, 2014 by jenipfeiffer. The Bay Area’s housing market stumbled in May — prime home-buying season — as high prices and low inventory held real estate sales well below normal levels, according to a report Thursday. Sales of single-family houses were down from the same month last year in the East Bay, Peninsula and South Bay, while prices were up, according to real estate information service DataQuick, which released the report. Prices for all types of homes were at their highest since November 2007 in the nine-county Bay Area. This entry was posted in Bay Area Homes for Sale and tagged Active homes in Campbell, Bay Area homes for sale, Best Realtor in Sunnyvale, Cheap homes Bay Area, Homes for sale in Silicon Valley, Homes for sale in Sunnyvale, Jeni Pfeiffer, Los Gatos Real Estate, Mountain View Homes for Sale, Realtors in San Jose on June 13, 2014 by jenipfeiffer.